The most original touristic guided tour!! 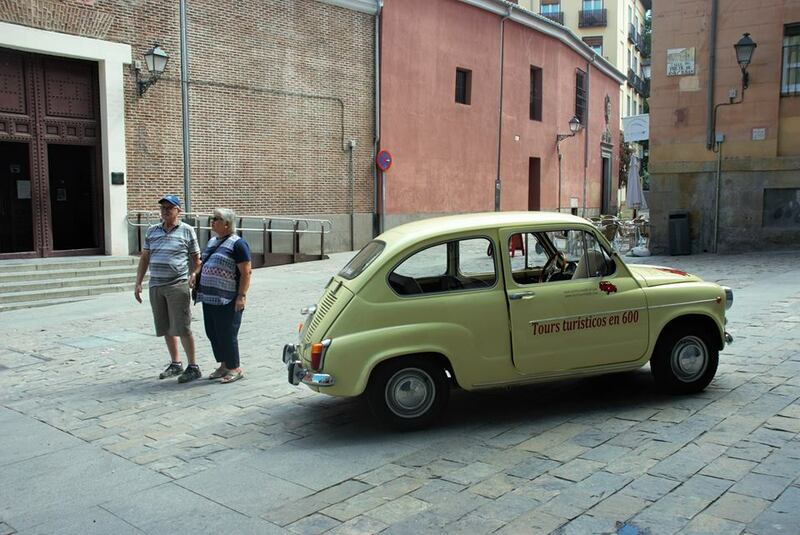 The Seat 600 is the car of Spain. “You were born as a prince, you died as a king” this sentence was in the poster of the last Seat 600. 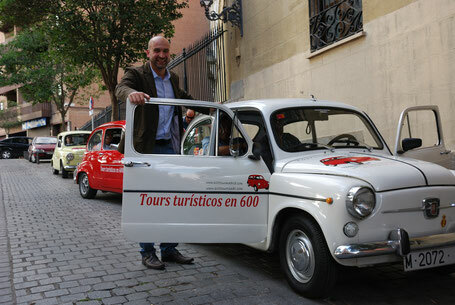 We recover the Seat 600 in Madrid, to make these special touristic tours, which are the best of the City. 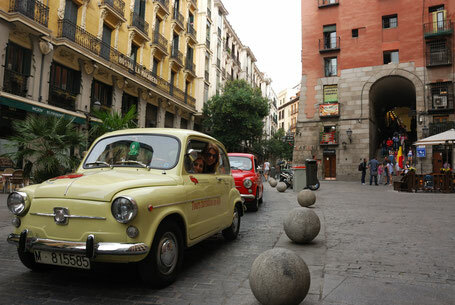 In our tours we show you the most emblematical places of Madrid, knowing its history and enjoying a unique and unforgettable experience. 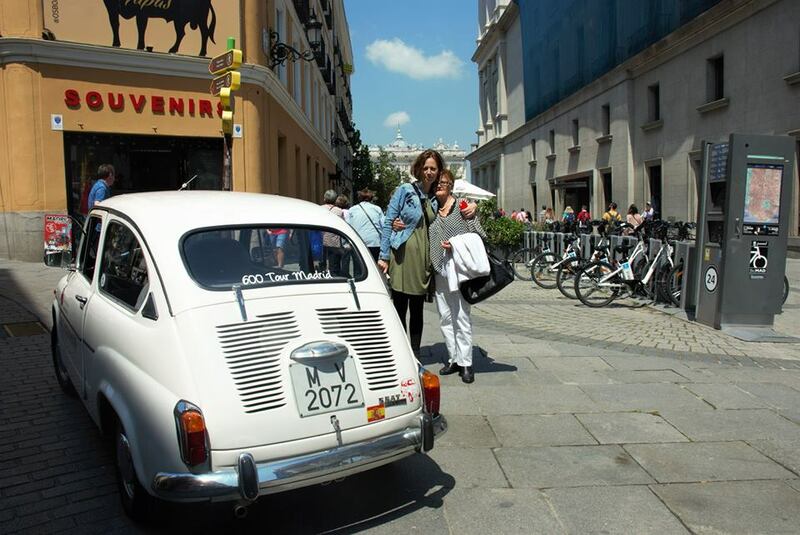 In our tours we will show you the most beautiful and most spectacular and the hidden places and monuments of Madrid. During our tours, we will stop to take pictures in the most beautiful places, and we will send them after the tour by e-mail. Even in the stops we invite you a glass of Cava. Our tours are unforgettable, because we try to adapt to necessities of our clients, in order to do unique experiences. If you have any preference of the places to visit, please let us know, we could organize the tour following your instructions. But our advice is to let one self go. We think that our tour is the best of the city. 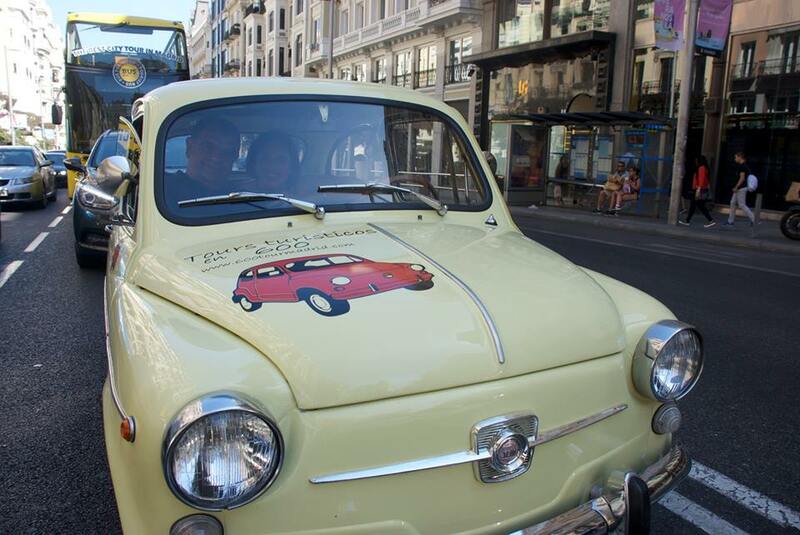 Our guides, who are the drivers, are from Madrid, and they tell you stories, Spanish and Madrid customs and traditions. How can you buy a ticket of 600TourMadrid? 1. You have to choose the duration of the tour. The minimum is one hour, and the maximum, the duration that you want. 2. You have to choose the time, from Monday to Sunday, from 8 am to 11:30 pm. If you choose a tour from 19:15 h, you have to pay an extra charge because this would be consider nocturnal night. 3. You have to choose how many people you will be. 4. If you want us to pick you up from your hotel, please let us know it. We will be delighted to pick you up. Please be informed that this service has a extra charge. 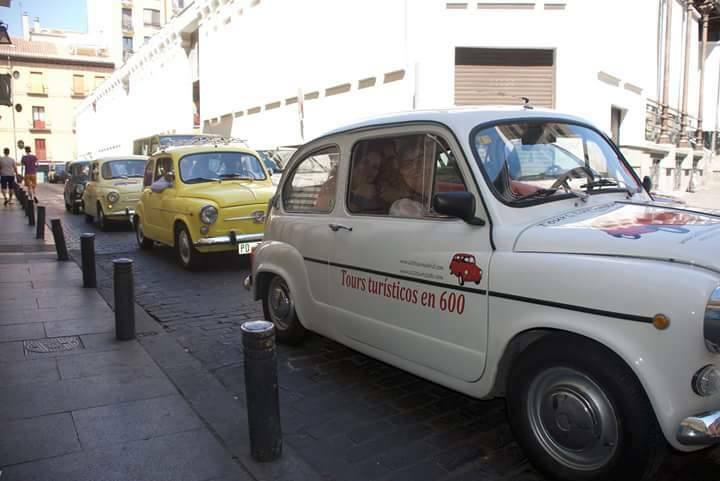 St If you want us to contact us, you could send us an email to contacto@600tourmadrid.com or you contact us to our phone or Whatsapp: +34 625 014 196. Start in tour hotel, Madrid center.